Ok folks, this is the post you have all been waiting for: The Time Bum's annual Black Friday watch sale list. I've started the list a little early this year as several vendors have discounts active right now, but as you might imagine, there are plenty more to be announced. I'll be updating the list from now through Cyber Monday as more deals are launched so keep checking! 22 Design Studio - 10% off all white concrete (!) watches through November 23. A Time to Watch - Use code BFCM2018 for No code necessary. 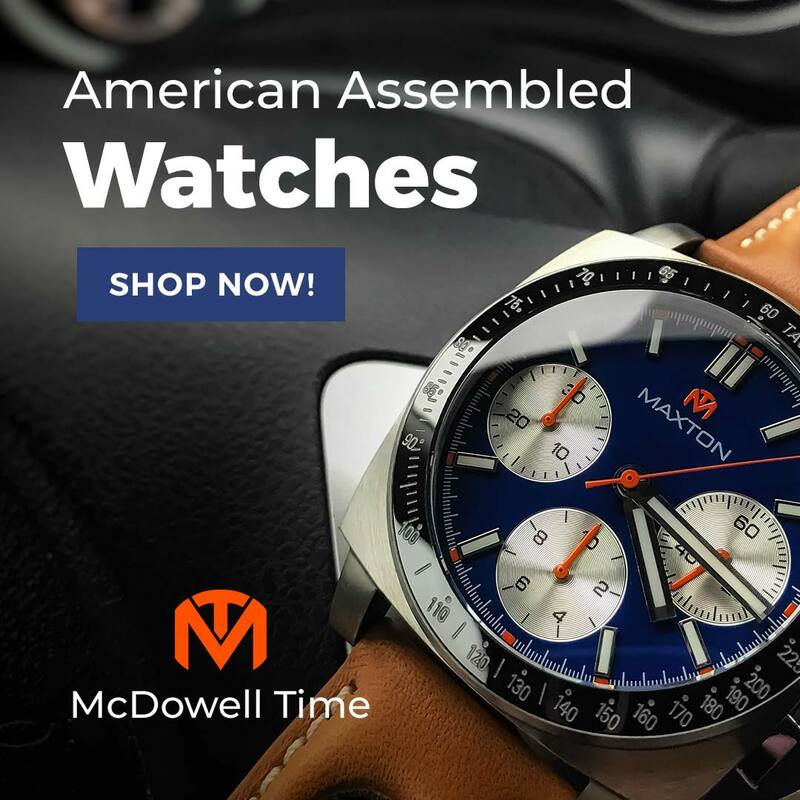 Discount pricing on selected, in-stock watches including Meccaniche Veneziane, Ocean Crawler, Heitis, Elegansis, Gruman, Gruppo Gamma, and Trieste. Aevig - 20% off black Thor and Corvid models. November 22 - 25. Aluta - Maybe more coincidence than Black Friday sale, but the Leeway black and saddle, and the even prettier Leeway silver and saddle are 50% of. That's just $53! Apple - Get a $50 Apple Store gift card when you buy an Apple Watch. 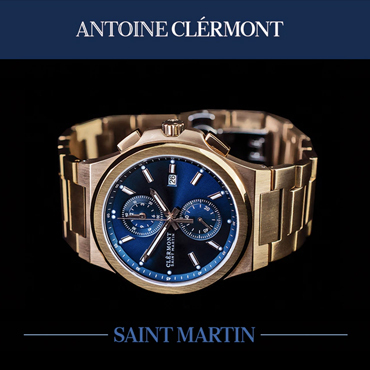 Armand Nicolet - 25% off all watches and free shipping with code BLACK18. Sale ends November 25, at 1:00 pm Swiss time. Armogan - Up to 50% off sitewide. Armourlite - CYBER MONDAY: 50% selected watches here. Aquatico - Up to 50% off through November 30. Ashford - Black Friday deals on Oris, Ball, Movado, Hamilton, Rado, and more. Up to 92% off! AVI-8 - 30% off sitewide with code VIP30. Also, up to 70% off selected models on the Black Friday Sale page. BaliHa'i Project - BF/CM special on the Black GMT ($500) and Black Model C ($300). Just watch on bracelet only, no packaging and nothing fancy. Free US shipping. Order through the site, include the message "Black Friday Special" and a price adjustment will be made in 24 hours. Bas & Lokes - CYBER MONDAY: 15% off leather NATO straps with code CM15. Ends midnight November 26. 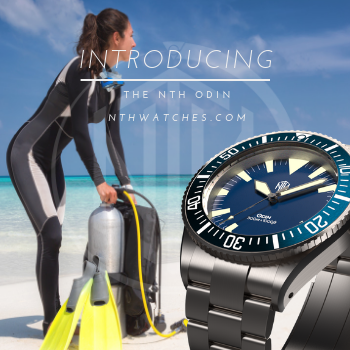 Bathys Hawaii - Save 20% on a Benthic GMT with code KAMA20. Benarus - 18% off all watches from November 23 - 26. Bernhardt - 35% all LeJour watches. Blackist - CYBER MONDAY: 35% off everything but meteorite, plus free two watch travel case with purchase of watch. except meteorite dials. Blenheim Watch Co. - 50% off with code xmas. BlumSafe - This wall-mounted watch safe, highly acclaimed and reasonably priced, holds valuables and up to 12 watch winders – modular, add them as your collection grows. Use code blackcyber150 for $150 off the price of any BlumSafe. Coupon expires midnight, Cyber Monday. Free shipping in the US. Also, spend $50 or more for a chance to win a Seiko Samurai or one of ten KangaBlu wallets! Bob's Watches - Looking for a pre-owned Rolex? Bob's Watches will have Black Friday sale prices sitewide from Friday, November 23 at 00:01 through Monday, November 26 at 11:59:59 PM. Use code: #BEBOLDR for 25% off of the Voyager, Journey, Explorer, and Venture models. Use code ONTHEHSE for a free strap with an Expedition or Odyssey. Can't decide? Then buy a $100 voucher for only $85. Bonvier - Shop now for 60% off in their Black Friday sale. Boston & Stewill - Use code Friday25 for 25% off sidewide now to December 3. Boschett - 20% off all watches from November 18 - December 3 while supplies last. Brathwait - 20% of everything. Breda - 50 watches priced at $50! Brellum - Use code christmas18 for 18% off of 18 models in the Duobox Classic and Duobox Gold collections. Brew - $50 off the HP-1 Black Friday and Cyber Monday with code SUPERBREW50. Caliper Timepieces - 30% off with code CALIPERBLACK30. Ends November 27 at 11:30 pm EST. Choice Cuts Ind. - 20% off handcrafted watch straps and leather goods with free domestic shipping from Nov. 20th - Nov. 26th. No code required! Christopher Ward - 15% off sitewide with code BF15. Cinci Strap Works - Use code BFCM for 25% off sitewide. Starts November 21 and ends November 26 11:59 PM. Clockwork Synergy - 30% off full price straps with code BF30. November 20 - 26. Collins - 25% off chronographs with code TIMEBUM25, November 23 - 27. Corniche - 25% off all black dial watches. Ends November 27. Crown & Buckle - Enjoy site-wide savings of 20-40% off plus free US shipping and $6 flat rate worldwide. Don't get left out in the cold. These savings only last until 10:00 AM on Tuesday, November 27th and won't be back for an entire year. Crown & Caliber - $175 off watches $2000+. Ends 11/25. DBC Leather Co. - Buy three handcrafted leather straps, get one free. D Swiss - Each day from Black Friday to Cyber Monday (November 23rd to 26th) the first four people who buy on the D Swiss website can use the exclusive discount code to get DWISS timepieces with a special price. To get the code, subscribe to the D Swiss mailing list. You will get one email per day, at 8:00AM PST (Pacific Standard Time), during the four days of the campaign with the discount code specific for that day. DC Vintage Watches - Use code BLACKFRIDAY for 15% off all merchandise November 23 - 26. Dagaz Watch - Black Friday prices on custom Seiko mod parts. New deals daily. DaLuca Straps - Black Friday Sale starts now! 30% off your entire order with code blackfriday30. Deep Blue - Use code BLUE for 40% off and free swag. Also, if you've been feeling left out of thier lineup of large size diving watches, check out their new 40mm Diver 1000 line. DiRenzo - 15% off on all DRZ_type_250F with code b_friday_direnzo through November 26. Eoniq - The first 100 orders from November 23 through 26 get 20% all Eoniq mechanical watches (Pinot Blanc, Navigator, Navigator S, Alster, and Alster Classic S). Filippo Loretti - Black Friday starts now with 20% off one watch, 25% off two, 30% off three. Florijn - Free shipping on orders from November 23 - 26 with code Free! FORaSEC - Use code BF18 for 100€ off selected Magrette and Mercer models from November 23 through November 26. Fossil - 40% off selected models. G. Gerlach - 15% off watches, 20% off accessories from November 25, 00:00 CET to November 28, 24:00 CET. Gavox - 20% off with code DarkGavox, November 21 - 23. Gax Watches - No code necessary; all watches on sale! Ginault - 20% off with code BLKFRI. Haavan Tuvali - 25% off on all divers watch models (limited to 5 pcs. per model) starts on Friday, November 23 and ends on Monday, November 26. The prices will be updated on the website once the sales event starts. Heitis - $100 off Oceans Explorer, $25 off Chronos and Aviators, and free shipping through November 26. Helgray - 30-50% off watches, straps for $9 each. Ends November 26. 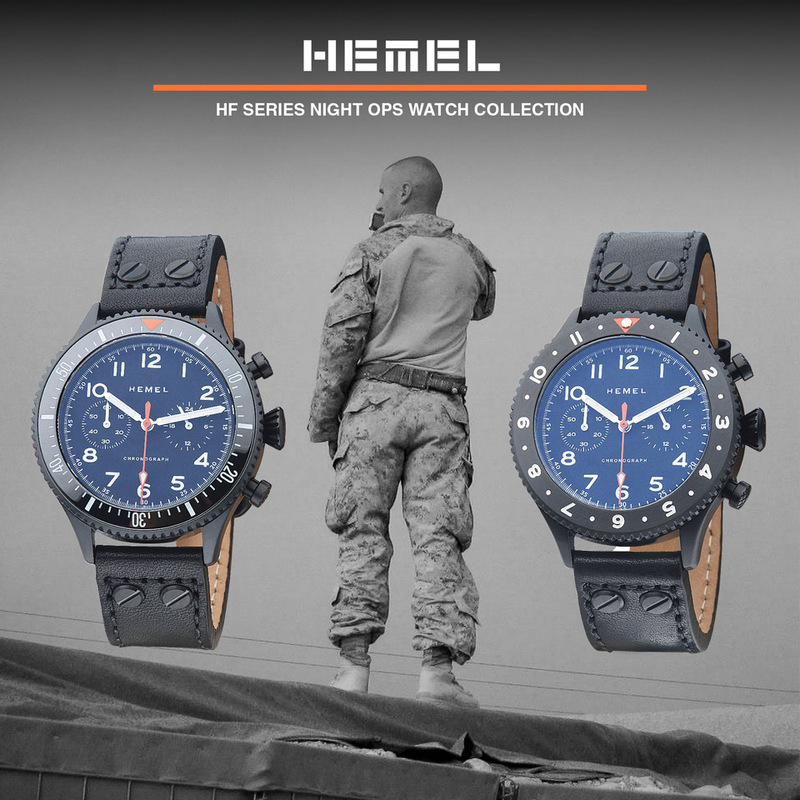 Hemel - Use code SWISS30 for 30% off the Swiss HM Series, starting now. Hoang Did Dat Straps - Buy one handcrafted strap for $60 or more, get one free made from cow, ostrich, alligator, shark, or stingray (without pearls). Runs November 23 - 25. Send him a Facebook message for details. Hoot - 30% off through November 25. Huckleberry & Co. - 25% off the Bakewell series through November 27. Island Watch - Special sale prices on Seiko, Damasko, Citizen, Orient, Traser, Marathon, and Zepplin, as well as straps, will be active on the Island Watch webpage on November 22 at exactly 1:00 pm EST. Until then, you can check out their Black Friday Preview Section and plan your attack. Jack Mason - 30% off sitewide and free shipping with code JMTHANKS18. 50% off select sale models. Jomashop - Up to 75% off! Great deals on Omega, Longines, Tissot, Seiko, Orient, and more. Jubilion - All Jubileon Superellipse models are on sale for $230, November 19 - 26. Larsson & Jennings - Save up to 60% off in their Black Friday sale. Lilienthal Berlin - 35% off with code Black35 through November 26. Longines - Holiday sale starts November 22, but you can get a preview and sign up for notification now. Lum-Tec Watches - 25% off Black Friday Sale. No code necessary. Lux Watch Straps - 15% off with code Blackfriday. Use discount code BLKFRI and click here for £60.00 ($74 USD) off list and free international delivery on brushed or black steel Jump Over The Moon. Use code BLKFRICOMBO and click here for £70.00 ($89.50 USD) off list and free international delivery for a brushed or black steel Jump Over The Moon, with a handmade watch pouch. Maen - A free leather watch travel roll pouch and DHL express shipping with watch orders through November 27. Maison Celadon - Complementary cufflinks or bracelet with your watch order. Offer runs Friday, November 23 through Monday, November 26. Email concierge@maisonceladon.com with your order receipt. Makara - 25% off, ends November 26. Malio Straps - 25% off for the first 50 customers for these custom made straps. November 20 - December 20. Manchester Watch Works - It's not a Black Friday sale, but the Beluga Professional Series is 20% off. Maranez - Get 20% off from November 23 - December 18 with code XMAS. Marathon - 40% off sale, November 23 - 25. Marloe - No sale, but enter to win a Polar White Marloe Haskell. Martu Leather - On Black Friday, November 23, take 30% off sitewide with code martubf2018. Maurice Lacroix - 70% off the Pontus S! Meccaniche Veneziane - 20% off with code blackfriday2018_coupon. Meranom - Save 20% or more on selected Vostok and Konstantin Chaykin watches. Mercer - Take 25% with code HOLIDAY from November 15 - 25. MHD - Black Friday, Black Dial Sale! 30% off. Ends November 26. Millesime - Complementary cufflinks or strap with your watch order. Offer runs Friday, November 23 through Monday, November 26. Email info@millesimeconcierge.com with your order receipt. Moduco - 25% off the stainless/white Automatic 305-02. NATO Strap Co. - 40% with code CYBER18. Nixon - 20% off sitewide. Nodus - The Avalon launches Friday the 23rd, for shipping in early December. MSRP is $625-$650, depending on the configuration but the Black Friday deal will double as an early bird special with $100 off. The Contrail will also be on sale for $500 (MSRP is $575). The sale starts Friday the 23rd at 12:00am and ends Monday the 26th at 11:59pm. Oak & Oscar - 20% off accessories, November 23 - 26. Obaku - Use code OBAKUBOGO to buy one watch, get one free. November 19 - 26. Ocean Crawler - 30% off from November 23-26. Orient - 40% sitewide at Orient USA, and an extra 15% off with code HOLIDAY18. Origin - Get 20% off the Vintage Field Watch 2nd Edition and all accessories with code THANKFUL. Also pre-order the new Railway Edition for up to 40% off. Sale runs November 20 - 26. Panatime - 35% off all straps and accessories with code CYBER18. Prestige Time - 3% off all watches marked “special” with code TG18. Ends November 29. Pontvs - Use code BLACKFRIDAY for a 20% discount on all orders placed from November 22 - 26. SHipping is free. Raven Watches - $50 off watches with code watches50, and 10% off accessories with code accessories10, through November 26. Raymond & Pearl - Take 40% 50% off all watches with code BLACKFRIDAY40 from noon Monday, November 19, to midnight Sunday, November 25 Monday, November 26. No code necessary. Rebel Time - 70% off sitewaide with code blackfriday70. Redux - Several deals running including: 1. 50% off American leather straps with titanium hardware; 2. $75.00 OFF all watches code: TiFriday18; 3. Limited edition of 21 USN A-11; and, 4. COURG black giveaway, from BF to 30th. See the Black Friday page for details. Retro Watch Guy - 10% off total purchase from Wednesday, November 21 at 6:00 PM MST until Monday, November 26 at midnight MST. Enter code #FUNKYTURKEY at checkout! Reverie - Use code BLACKFRIDAY60 for $60 off any watch on our store. Limited to the first 10 customers, November 22 -27. Roue Watches - Up to 30% off selected watches. Seals - Now through December 31, get free shipping on Seals Watches with code timebum. Spinnaker - Deep discounts on many models on their Black Friday Sale page and 20% off with code BL20. Squarestreet - 25% off all watches through November 26. Sternglas - Black deals are now live. Save up to 100€. Strapcode - 96 hour Cybersale on "Studio Used Goods" starts 10:00 am EST, November 23 and ends November 26. These are items used for photoshoots. New items will be listed daily. Get 10% off one item, 20% off the second. Straposphere - Up to 50% off through 11/26. Straton - Use code RSR2018 for 10% off. Sturhling Original - 25% off with code BF25. T-Watches - 20% all in-stock watches. Ends November 25. TC-9 - On November 23, take 35% off with code BLACKFRIDAY. Also be sure to check the pre-sale for the 1972 Bronze Diver with burgundy dials and bezel for just £185 ($240 USD), nearly half off retail! Terra Cielo Mare - Shop their Black Friday Bundles November 23 - 25. The Microbrand Store - Use code BFCM for Black Friday deals. Now through December, use code TC20 for 20% off the CT Scuderia collection, which is already discounted 50%! Timex - 30% Black Friday sale from November 23 -26. Tissot - Deep discounts at the Tissot US online shop. 50% off the Seastar 1000 and 1000 Automatic. Thesis - Use code BLACKFRIDAY for 50% off all orders now through November 30. Tourneau - Use code BLK413 for 25% off selected brands and 15% off Certified Pre-owned. Torgoen - 30% Today only: 40% now up to 60% off! Trintec - Black Friday Sale and Free Watch Draw! All customers who place an order on Black Friday are automatically entered to win a CoPilot Chronograph! Also get 50% off the Zulu-07 Pro, 30% off all other watches and 20% off hats, bags, and t-shirts. Triwa - 30% off Black Friday Favorites and up to 50% off in the Black Friday Outlet. Tuseno - First sale ever! 15% off and a free strap with purchase. Tsao Baltimore - Now through November 26, take 20% off and get a free Clockwork Synergy NATO Strap and free US shipping to with code BLACKFRIDAY2018. Undone - Use code BLKUNDN for 20% off all black case watches. Ends November 25. Vaer - $40 off all watches with code vaerBF40. Valhalla of Norway - Sale prices November 23 only. No info until then. Void - Sitewide sale! 20-50% off and a free gift with purchases over $100. Ends November 27. Vario - Use code TIMEBUM15 for 15% off 1 watch + 1 free strap and TIMEBUM25 for 25% off 2 watches + 2 free straps. Ends November 26. Vortic - Two offers running now through 11:59 pm November 26. All upgrades on the house for custom watches on the Vortic Watch Builder (up to $500 value). Free accessory bundle of their 4 most popular accessories with any Pre-Built watch from the Vortic Store (T-shirt, hat, carrying case, and extra strap). Vratislava Conceptum - Black Friday - Cyber Monday sale on the VIS 1935 Uprising and Pro-Military. Waldhoff - Take 29% off with code KCNAMWF29. Watches.com - Up to 75% off plus and extra 15% off! Enter code BLACK at checkout (some exclusions apply). See the sale page for the biggest bargains. Watch Gauge - Check the Black Friday sale page for discounts on selected models including Elliott Brown, Hemel, Lew & Huey, and Straton. Watch Gecko - See the Black Friday sale page for up to 70% off straps and bracelets. Whitby Watch Co. - For Black Friday, get $25 CAD ($19 USD) off the $700 CAD ($526 USD) presale price of the new Intrepid and free t-shirt too! Worn & Wound Wind-up - Take 10% off straps and up to 30% off watches through November 26. Xeric - Xeric will be running a 30% off sitewide sale for all in-stock watches (not applicable to preorder watches). Enter code UNUSUAL at checkout. Runs Thanksgiving through November 25th. Yema - Sale prices through November 26. Ziiiro - 20% off with code BLACKFRIDAY20 through November 27. Zoretto - 20% Black Friday sale on November 23.